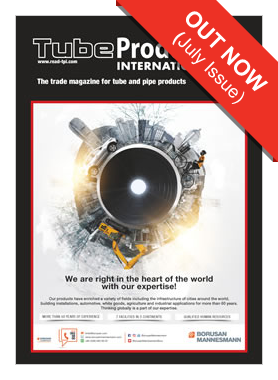 Tube Düsseldorf – the world’s No.1 international tube and pipe trade fair. Held every two years, this five-day exhibition presents the latest technological advances in tube and pipe production machinery and processing equipment, and covers the entire range of tubular products, materials and ancillaries. FABTECH is North America’s most comprehensive event for metal forming, fabricating, welding and finishing companies. If your job requires you to look for new ways to work smarter, operate leaner and boost productivity, then you and your team need to attend FABTECH. The international metal and metallurgy exhibition. Thousands of exhibitors from more than 30 countries and regions and 300,000 domestic and international visitors have attended in the previous 14 exhibitions. 15 years ago SteelFab made its debut! A lot has changed since then, and the event continues to steer the industry through the ups and downs of the economy and the market. Over the years, it has grown with the industry, and along the way, expanded its geographical footprint far and wide.